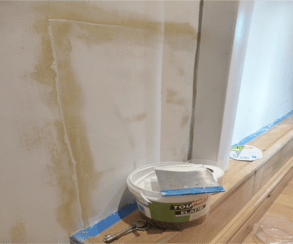 This article on how to make plaster walls smooth for painting is full of tips and insights of use to DIY and trade. 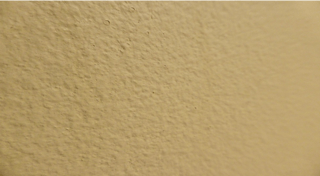 He achieved that exceptional transformation armed with Prestonnet ready mixed joint filler, Abranet abrasives, Eico paint, and guidance via Traditional Painter. Just a note about our project & place. It’s a 1920 double bow window affair, the Margo & Gerry type house and we have extended, expanded and modified every single aspect of it several times over and over many years. It’s fairly well laid out and up until last year I considered it to be at the upper end of the decorating standards league. How wrong that proved to be after meeting you lot on Traditional Painter and researching the website and asking for advice on the forum! Last year I did the exterior again, but this time learned how to do it right, reading TP articles many, many times. (As you can see from the photo) the result was great and it still attracts many comments even a year on. And so this year I wanted to revisit all the internal woodwork & walls. Woodwork is another story, but I decided to bite the bullet on the walls first. 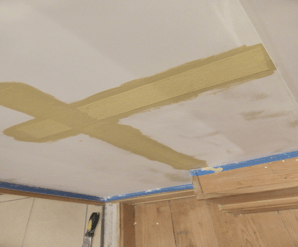 And so, after weeks (months) of reading Andy’s article about skimming plaster walls with the hallowed TX130 & failing to find anyone who would stock or sell it (without a £237 stocking fee – I kid you not), I eventually went with Andy & Aaron’s recommendation of the Prestonett Joint Filler. I don’t know why but I had the illogical feeling that it was a second rate substitute for the TX130. We’ll see about that shortly. The test-bed room is our gym, which sounds very upmarket, but it’s a converted garage, albeit fairly well done. It was wired up for data, audio and a lot of extra power, plaster boarded, insulated and skimmed. We put down a high quality engineered hardwood floor that had been removed from the lounge. I received guidance from Andy as to fillers and tools; paint and wood finish advice from Ben at Paints & Interiors and great support from Aaron at Prestonnet. I basically hijacked the lot. I figured that none of you on TP had steered me wrong to that point, so what was the point of ‘wheel reinvention’. An old paint tray …. old habits and a glut of old paint trays! And so we started, easy! Well, it was easy, except I made it hard on myself choosing the gym as my first room. Although I started out well, I soon realized I’d picked the worst and most complicated room in the house. 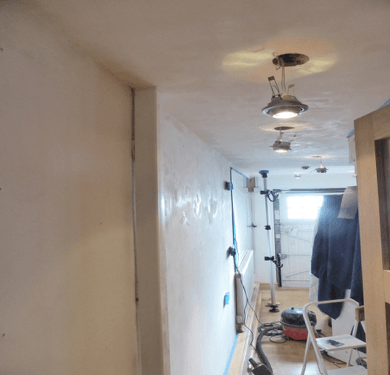 Instead of starting on a box room to build up my confidence, I was starting on an area with dozens of wall sockets, a two-level ceiling & chamfered angles on two sides, plus an attic opening and many rawl plugs. Not to mention way too much audio, video and, of course, gym equipment. This was a plasterboard patch after the gas meter removal. It was prone to cracking along the joints. I raked out the cracks. I filled the open joint. Cotton-thin Toupret Scrim bedded in vinyl emulsion over the joints. 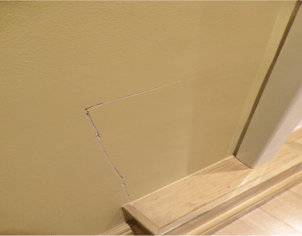 This approach seems involved, but it is a permanent repair for cracks. Once areas are repaired, skim the surface with Prestonett Joint Filler. Application of filler was relatively easy on the larger areas, of which there was only one! But I found that the 10″ spreader was too large to fit into the tub. Sounds a minor detail but frustrating. So I loaded the spreader using a cheap flexible filling knife. Cleaner for me but probably sounds a little time too consuming if you are a pro? I found the edges into the corners were hard to deal with, so I used a continental filling knife after completing the big areas. Relatively easy work again, although the corners take some effort. And to get that small radius smoothness I trailed in the Prestonett with my finger and sanded back by hand to reform it to a dulled square edge. It came up very tidy & straight. Leaving it overnight to dry, the light that streamed in by mid morning highlighted a lot of (very small) imperfections. 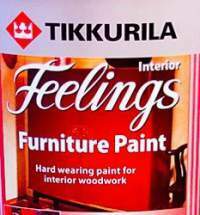 Not too surprising as I’m not exactly a plasterer. I put a second coat on which improved things. But the day after, there were still imperfections. I found a lot of small and larger concave and convex bubbles in the finish. Frustrating but it was an easy fix with a continental knife…..time consuming but saved on the sanding a good deal. Well, it should have saved on the sanding. 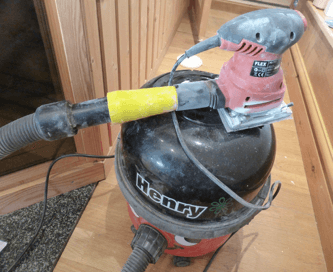 My newly acquired Henry Vac makes life significantly better dust wise than I’ve been used to. And don’t get me wrong, I love my little £20+ Flex 713 but I also understand why those of you ‘big dogs in the tall grass‘ use the fancy sanding systems. The Flex still sands as well as ever and with the purchase of an adaptor to connect to the Henry (the adaptor looks more at home in an Ann Summers catalog) it is a working solution that is definitely a step up for me. Whilst I can get a good end result, I found the weight of the unit and holding the hose and adapter (which with my setup did not secure in) to be pain personified. The end result is great, the pain is not. And it was far from ‘dust free’. An effective combination but heavy! The end result was – amazing. Another day gone and more mid-morning sunlight revealed, to my surprise, a near perfect flat paint filler finish. It is quite something to see and indeed feel responsible for. The light being so perfectly angled did in fact show more very small imperfections. I have to confess to filling & sanding these again but in all honestly I don’t know if it was needed or if it was just fear on my part. I suspect the latter. The result was absolutely flat white filled and sanded walls. The surface looks very much like those polished concrete floors & walls you get in designer homes. The dust clear up was significant and on this job (also on the external work) I learned why you bang on on the forum about tack cloths, dust eaters etc. It makes a huge difference, no doubt. Obvious to the pros, maybe, but we DIY are learning here. 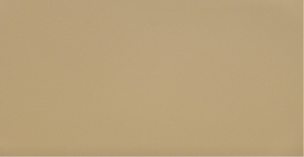 I used the Axus tack cloths and the Wooster Dust Eater….both super bits of kit. And so to paint. 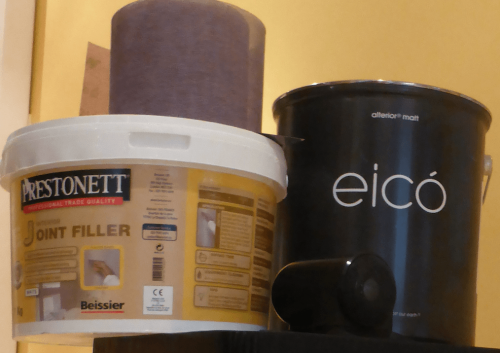 I was itching to use the new Eico paint but realised what a woeful collection of old roller sleeves I had. They were like the cardboard inset on loo rolls, it is amazing I even got the finish I had been getting. They were so hard you could probably kill someone if you threw it hard enough. The new trade sleeves are great and as cheap as those from the DIY sheds. In the main, good quality trade materials are not costing any more than shed stuff. In some cases less. Useful, not toys: Where I bought extras (like say the Dust Eater), I now know why they are worthwhile and are not just gimmicks for stuffing up the tool shed with. I am very particular and spent so much time sanding, but discovered I had been sanding areas that were in fact absolutely fine, simply because I could not see the problem area. With an inspection light at an angle I could see that 90%+ was perfect & only some areas needed the extra sanding. What a revelation. Probably you pros all know this & do this, but I must have wasted two days sanding areas I need not have done. Don’t leave in-ceiling 50w Halogen bulbs lit for 3 days solid and then try to move them around. I have no fingerprints left on the left hand, what with hot bulbs and hand sanding with the Abranet. – The Dust Eater is excellent, I thought. It works a treat, which is after all the nature of what TP is trying to demonstrate and I’m trying to copy. However, it was on the expensive side. – The Axus tack cloths are the business. – If I could afford a dust-free system I would. Yes I can reach the same level of finish with my Flex & Henry but it’s doing it the hard way, if working on a lot of areas. I left a rowing machine, a cross trainer & a multi gym in the room. What a mistake, when you also have piles of tools & materials and 4 full Henry bags of ‘Prestonett talcum powder’ lying around the work space. Even if you don’t ruin the equipment, you are sure to sprain an ankle. I’ve never been too hot on the H&S side of work, but I’m starting to see why it’s worth the time to remove obstacles. I also found that a hand sander was better in some areas than the powered orbital sander. Nothing wrong with the Flex, but in restricted, hard to reach areas it’s just too unwieldy with the hoses & adapters. The 3/8th Wooster roller is excellent but I found the Micro Plush one better somehow. Or maybe I’m just not applying paint correctly? I wondered if I might be applying the paint too thin? Although I’m getting a nice result I’m not sure I have the right roller technique. I am happy for pointers on that one. There is such a difference in the quality I am used to, it is scary. 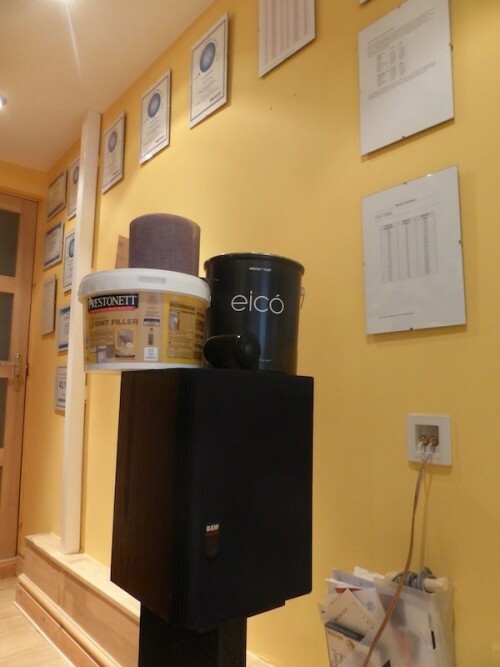 Eico is the first paint other than Dulux I’ve ever used. Needless to say I love it & in fact find myself in a cleft stick – it is so good I want to stick with it. 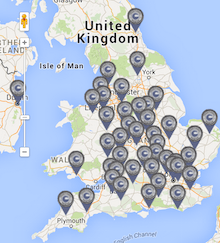 But then I am curious about the world of Mythic, Little Greene & all those names I hear you all speak of. (I guess it depends on colour choice in range & application.) Overall though, I have nothing but good things to say about Eico at this point. And yes as Andy’s article said about working with high quality acrylic emulsions and the French fine surface wall surfacer fillers, I did go straight onto the filler with two coats of a colour, and it does work with no extra washcoat preparation coats needed. The consistency is excellent. Where is the main improvement coming from when following the Traditional Painter info? Definitely the filler! I said earlier I was irrationally dubious about the Prestonett being up to the TX130 standard. Doubly irrational given I’ve never used TX130! I think it’s a bit like being a lifelong Merc driver & being offered a new BMW as your new company car. You know all should be well but there is some niggle at the back of the brain. d) when to stop sanding out of paranoia! That’s not to underestimate the paint or indeed the tools, but just to see the finish after filling & sanding is a joy. I wish a picture could show & tell the improvement but it simply does not do it justice. With my (home decorator) kit bag it’s a fair bit of effort to reach the very high standards I was after. With a professional kit bag of Mirka, Festools etc, I cannot imagine ‘not’ doing it this way. In terms of cost, the filler is practically for nothing & worth every penny. The Abranet comes at a cost, for sure, but it is so effective & lasts an age. It’s worth it. As I have tried to demonstrate, the tools are no more expensive than shed stuff & the paint is worth the extra for certain. So why should I be surprised that the result was so good? It’s just fear of the unknown. I think we (the great unwashed DIY shed-buying decorating public) have grown so used to sub-standard ways of working that when the right formula presents itself, it looks superficially terrifying. Actually do it, and there’s no going back. Another Traditional Painter master class translated into an Amateur Hour super result. Thanks Andrew for making the effort to write this article explaining what you did right, wrong and what you learned for next time. 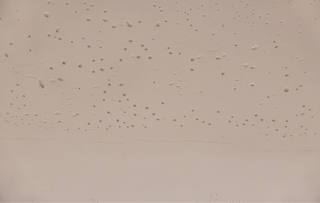 We have a novel article coming shortly about textured ceilings and walls from around the world, (think Artex, popcorn, or gotelé, depending on where you are) and the approaches to repairing them.